It’s year end. Soon the holidays will be over and before you know it, your thoughts will turn to thinking about…taxes! If you own bitcoin and have used it for purchases or sold it for a profit or loss, you need to consider the tax ramifications associated with those actions. Yes, it’s true. The U.S. Government, or actually the Internal Revenue Service released its tax guidance in March of 2014 that declared that bitcoin is property and needed to be taxed accordingly. This means that just as you get capital gains on stocks, property or those vinyl albums that you’ve been able to sell, you’ll have a tax bill for those gains. You’ll also have the ability to write off the losses as well. But the rules for each are different. Because the government classifies bitcoin as property and not currency, it will actually benefit those who are “miners” and investors because their accrued long-term gains and losses will be taxed at the taxpayer's applicable capital gains rate (15% for most consumers) rather than ordinary income rates (25% for most consumers). Tyson Cross is a tax attorney who specializes in bitcoin and among the tips he provides is that people should keep clean records of all bitcoin transactions. There’s also a listing of tax professionals who cover bitcoin here and through the Digital Currency Council, where many are actually certified cybercurrency professionals. You can also go to this site, where they claim they will calculate your capital gains and losses for bitcoin and other cybercurrencies. The bottom line is that bitcoins are being treated by the IRS as an asset. When you receive an asset, it has a value. If you received bitcoin through mining, a payment or through an exchange purchase, the value of bitcoin at that point in time must be noted. When you sell that asset, it has a value, which also has to be noted. 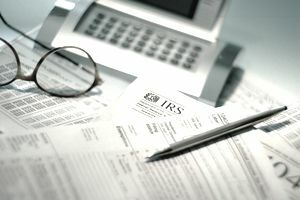 The difference in that value constitutes a gain or a loss, which is then subject to the IRS rules. Each government has its own tax rules so please understand what those rules are and listen to a tax professional, not me. I’m just a guy who follows bitcoin and although I pine for the old days when no one, including the government, cared about bitcoin, it’s probably a good thing that more people, including the government, are ​paying attention to bitcoin. The more it’s viewed as an asset and a viable form of exchange by all parties, the more likely wider acceptance of it will be. Many of my libertarian friends may not agree, but as much as I’d like to agree with them, it’s still true that the only two certainties in life are death and taxes. Even when it comes to bitcoin.